It’s time for yet another major platform release for one of the world’s most beloved sci-fi sagas. 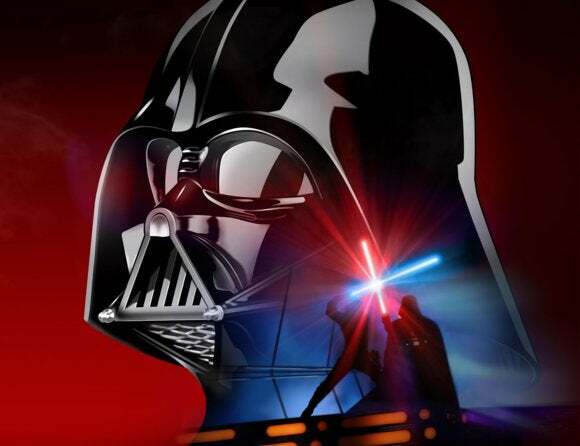 Disney recently announced that all six Star Wars films will be available as high-definition downloads for the first (legal) time starting Friday, April 10. Disney will sell all six movies together as the Star Wars Digital Movie Collection or you can pick and choose (i.e. not buy the prequels) and buy the movies individually. A variety of online outlets will be carrying the films, including Amazon, Disney Movies Anywhere, Google Play, iTunes, Vudu, and Xbox Video. Pricing was not announced; however, Amazon and Google Play already have all six movies up for pre-sale. The entire six-pack collection will set you back $90 or each movie is available on its own for $20. And yes, Star Wars fans, the original trilogy downloads are the special edition versions. The story behind the story: Disney’s movie release is the first of many Star Wars hype cycles we can expect throughout 2015 leading up to the release of Star Wars: Episode VII The Force Awakens in December. Six days after the Star Wars HD downloads start, the annual Star Wars Celebration convention kicks off on April 16. During the convention we’re expecting to see another teaser trailer for the new movie, and—even more importantly for tech types—Electronic Arts is expected to debut a trailer for the forthcoming Star Wars: Battlefront title. The third installment of the Battlefront series is one of the most anticipated games of the year. Legacy content includes “A Conversation With The Masters” (2010); “Dennis Muren: How Walkers Walk”; “George Lucas On Editing The Empire Strikes Back1979”; and “George Lucas On The Force: 2010”; plus six deleted scenes. This story, "Star Wars saga making high-definition digital download debut this week" was originally published by PCWorld.